You're Invited to a Google & Omnia Webinar! Today’s retail marketplace is chaotic, to say the least. Chasing product information and manually adjusting bids is time consuming and labor-intensive, not to mention inefficient. Pricing insights make the marketing process a little easier. By combining competitor price information with your own internal data (such as stock numbers and purchasing prices), your marketing team will gain new perspective for their strategic decision making. 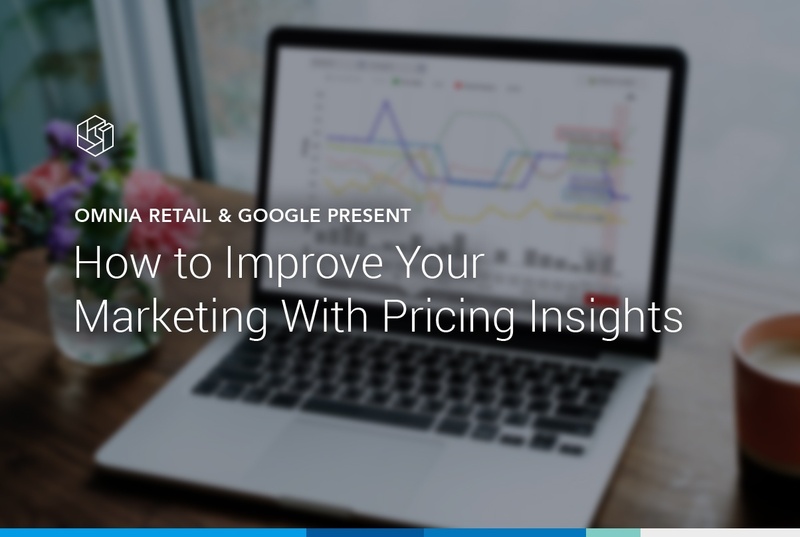 We’re excited to announce that we are hosting a joint webinar with Google on how to use pricing insights to ease the pains of online marketing. On December 12th, 2018 at 13:00 CET, Lisa Wedsberg from Google and Thijs Algra from Omnia will spend 45 minutes helping you understand how the retail marketplace is changing and how you can prepare for the future of omnichannel. Interested in learning more? Click here to sign up! Note, the registration form is in Dutch, but the webinar will be in English.